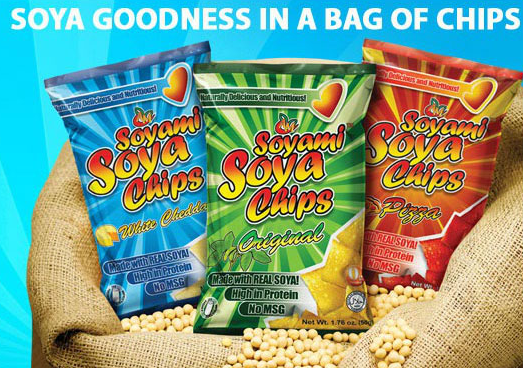 ruthdelacruz | Travel and Lifestyle Blog : Soyami Soya Chips Would Make You Feel Sooo Yummy! Soyami Soya Chips Would Make You Feel Sooo Yummy! Crunchy. Crispy. Salty and Flavourful - that's how I wanted my chips. In whatever shape - diamond, square, ridge, curled or tubes - in whatever packaging - tube canister, foil or plastic - I eat them. I love snacks. I love snacking. Like a child who never grew old. I love having them even before meals, even it means it is my only meal, or after meals as if chips were desserts. My mom would keep on reminding me to cut down on eating these food they called "junk food". It is funny that oftentimes I find myself snacking inside my room and my mom would find out I "did the crime" (eat junk food) from the wrappers and foils of snacks in my trash can - like a teenager who were caught burning telephone lines - my mom would preach the whole day, reciting all the bad effects of eating junk food and all the diseases I might get (UTI, kidney stones, kidney infection are her favorite). I sometimes worry if she would soon declare Martial Law at home. But I cannot resist! Who doesn't love the joy of opening a snack - whether popping the cap open, or tearing the pack with your teeth. Then the smell of the flavor would just burst and fill the room like an air freshener - could be cheese, pizza, barbeque or sour cream (admit that just the thought of it makes you excited!). Then take one piece, or a handful - you can feel the grainy texture in your fingertips - thinking these are grated cheese or flavourings - you want them - even if it means colouring your fingers yellow or orange. Then you take a bite and more bite.. digging through the pack. The sound of crunch is more than music. You take more pieces until you get to the last few broken ones that you love to pour in your mouth. Yum! But the experience and fun of snacking doesn't end there - the true fun is in your fingers! 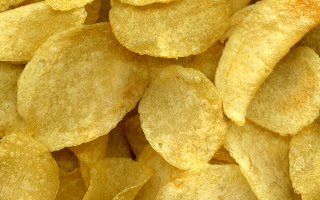 I don't know about you, but I do love sucking on the rich flavouring and salt (and what-nots) that had built up on my fingers whenever I eat snacks and chips! I can borrow the tagline "finger-lickin good!". Can you tell which snack has a "good" built-up?! I hope I have taken a picture of my recent flavour built-up in my finger.. Hehe. The experience is all good, as always. But who knows what happens now inside our body?! Then I remember my mom's preachings like religious doctrines. She must be right after all. Whenever I eat too much junk food I feel that pain in my lower back (sounds like kidney infection?!). And the biggest proof of all the junk I have taken is the unwanted curves in my body! Yay. But I cannot just forget snacks. Snacks make long trips, movies, watching TV and traveling exciting and fun especially when shared with friends. Snacks save me from attacks of Gastritis. I was always sent to the doctor for my severe condition. I am just glad I am feeling okay now. Lifestyle change does help. Then my friend told me I should try Soyami. What is Soyami? So Yummy!? Ok, the name itself got me impressed. I'll give a golden star to whoever come up with that name! Soyami is a healthy snack made from Soya. I know we are used to eating corn chips, potato chips and even bean chips, but Soya as a snack?! I actually find it weird, but I am interested. It reminds me of the Manong Magtataho. I wonder if I need to dip the snack in soy-vinegar just like the delish Tokwa't Baboy! So I went to the nearest mini-convenience store and look around the rack - my favorite chips were calling me - they were first waving at me, but I played snob. I thought I saw them pleading over me - for me to buy them. But I was firm, I wanted to try the Soyami. I asked the crew and he gave me one. Actually there were only two pieces of it left - the Soyami Soya Chips Pizza Flavor. How fortunate I was, pizza is one of my favorite snack flavours! I almost dropped it when I saw the tag price. Php50 for one 50g pack!! I could have bought a student meal from this amount (oh, it was 10 years ago the last time I bought a student meal!) - but I was thinking I could just buy french fries from fastfood. But still I went to the cashier and paid for the item. I know it would be less expensive if I will buy it from supermarket. If I like it, I will sure include it in my shopping list. Back to my room, I prepared myself. I prepared the Soyami pack and took some shots. I almost label it as Exhibit 1. I felt like a CSI agent taking pictures of the crime scene. Looks like your favorite snack, yeah? Anyway, Soyami is like your normal snack in terms of packaging. It could blend well with other known snacks, but what makes it all different is what is inside. I opened the pack and it welcomed me with the light pizza flavour. Hmmm... The chips look and feel heavier than the usual chips. It is of orange flavour with hint of herbs on it. I took one bite and savour the flavour. What I love about it is that it is not at all salty - it simply means it doesn't have artificial flavourings and other chemicals just to make it look and taste like its real flavour. Yes, there is still a hint of saltiness, and of pizza flavor in Soyami, but just the right amount that you wanted to take more of it. Although Soyami would not give you the orange-y flavouring built-up on your fingers; which only means, Soyami is made from natural ingredients. The packaging will say it all! 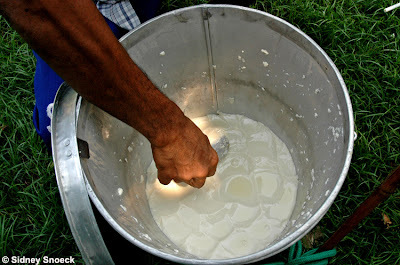 Wow, it is like drinking taho and eating Tofu! The best part is that, there is no guilt-feeling at all! It's like gambling without real money, or kissing your ex-boyfriend (who is now your husband!). I can snack on it everyday without telling myself that I would hit the gym the following day to make up for all the junk food I am snacking that day. There is no need to hide from mom. She might love this snack too! I don't want to bore you with too much nutritional content in my blog because Soyami itself is loaded with nutritional goodness! For more info on benefits of Soya, you can check here. I can bring it in the office, or during travels as replacement to crackers which only makes me more hungry whenever I eat. I can be a little creative with it and cook some ground beef and salsa, and use it as taquitos! I can bring this home as pasalubong to my favorite kids in the world! Without feeling guilty that I am feeding them "junk". I can give this away as Christmas gift! How creative, and thoughtful ;) Hehe. Am I making you hungry?! Right now I feel full. I just finished the pack of Soyami Soya Chips I bought while typing this blog entry. I have to try the other flavours - Soyami Original and Soyami White Cheddar! 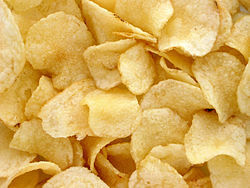 Have you tried the Soyami Soya Chips? For some reason, I feel like singing.. Soyami, Soyami.. You're my one and only (the melody is borrowed, again, from another brand and commercial..) Hehe. © ruthdelacruz | Travel and Lifestyle Blog : Soyami Soya Chips Would Make You Feel Sooo Yummy!